Carinn; carerynn | Malaysia Fashion, Beauty & Lifestyle Blog: Lifestyle: Daily Puzzle Fun with JSPuzzles Jigsaw Puzzles! 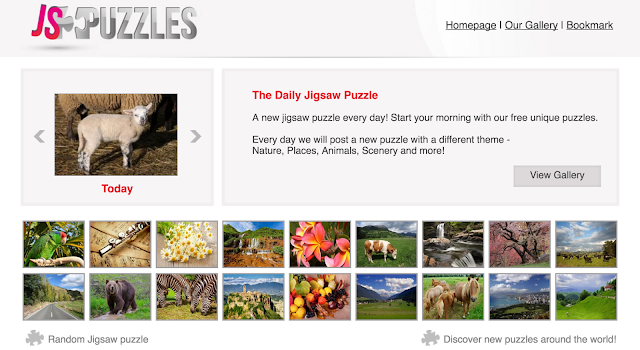 Lifestyle: Daily Puzzle Fun with JSPuzzles Jigsaw Puzzles! Wonder what my cousin Joel and I were smiling about? We had so much fun piecing together jigsaw puzzles on this new website that I’ve found – JSPuzzles Jigsaw Puzzles . In this busy world that we live in, how do you de-stress? Jigsaw puzzles seem like a thing of the past, I’m not even sure if my kid cousins have played with physical jigsaw puzzles before XD Now that everything is digitalized, you can even play a game of jigsaw online! 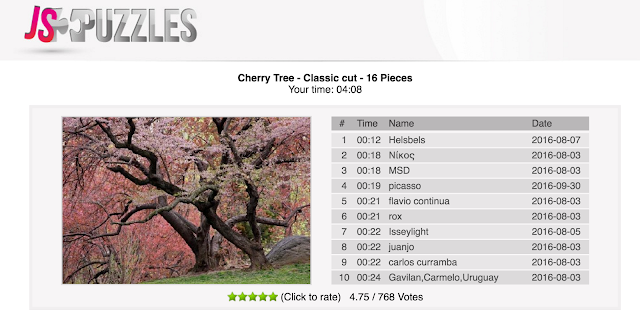 JSPuzzles is a free online jigsaw puzzles site, founded out of love for jigsaw puzzles. 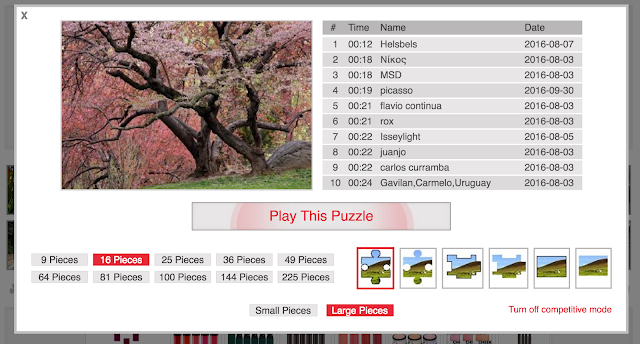 On the site, there are numerous user generated stock puzzles with friendly gameplay and fun features. In fact, you can even register for an account to upload and create your own puzzle! There are even a daily puzzles section where a new unique puzzle is generated everyday! You can select the number of pieces i.e the difficulty of a puzzle before you begin. We chose this 16 pieces level for the daily puzzle. Try to piece together the puzzle as fast as possible to beat the worldwide high score for each puzzle! Some of the pieces might be too simple for adults, but my cousins thoroughly enjoyed it. The navigation is quite simple and fun. So the next time you’re bored, why not try playing something more beneficial instead of browsing Facebook? Studies have shown that playing puzzles can help to keep the brain active. Anyone from kids to adults can play a jigsaw anytime, anywhere now as long as they have internet connection! Disclaimer: This article is published in partnership with JSPuzzles Jigsaw Puzzles.